Saw the pattern in a Japanese crochet book. 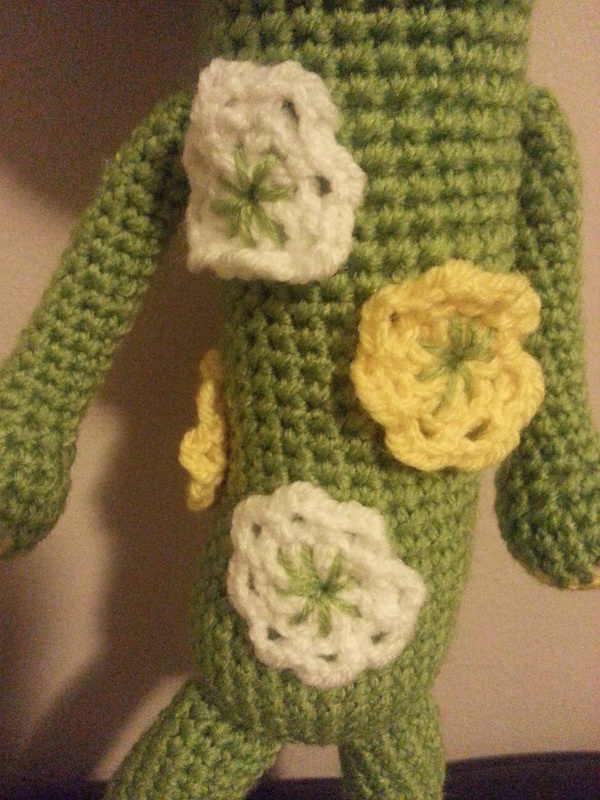 Love the flowers on the body, just have to try doing it! 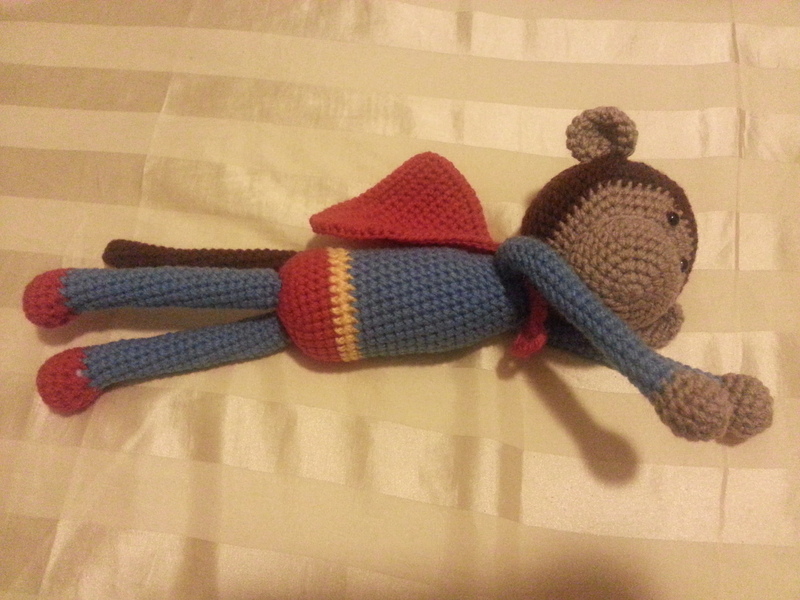 It’s a bird, it’s a plane, nooo, it’s Super Monkey! 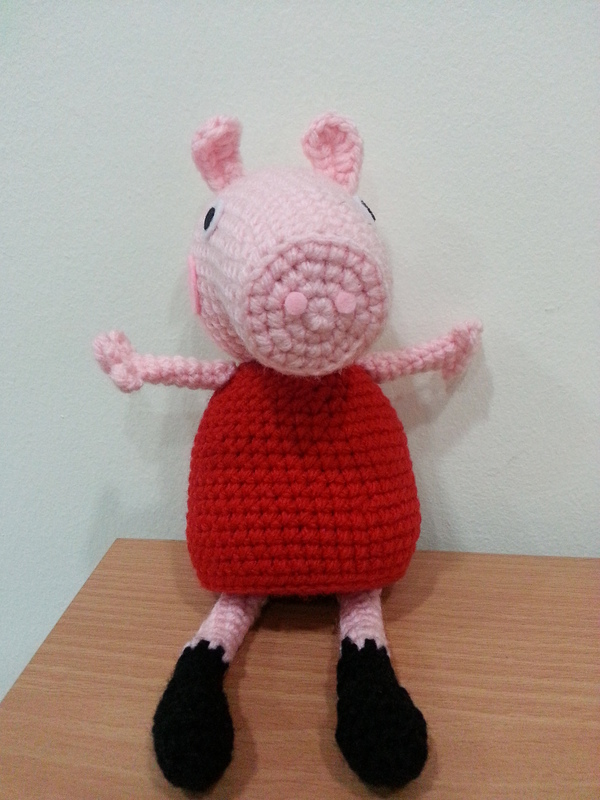 Gladys asked me do I know Peppa Pig and I replied “yes”. 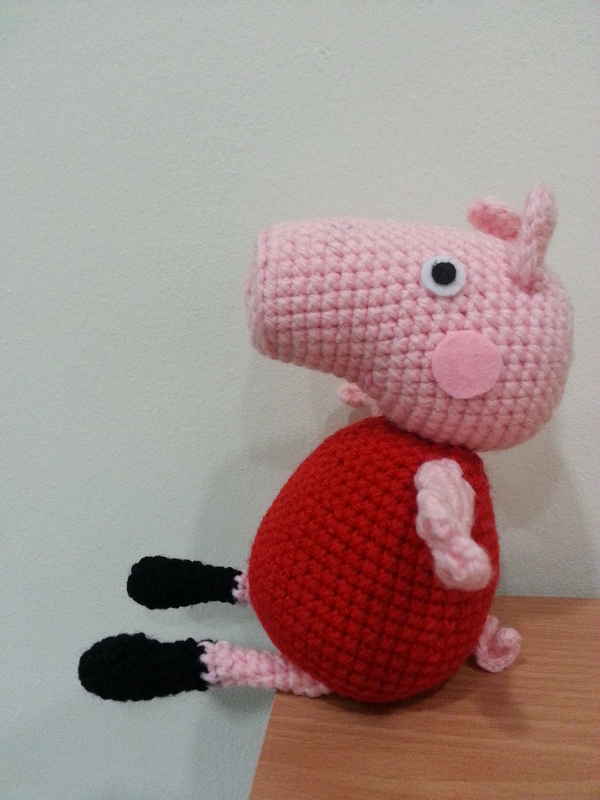 She was asking with hope that I could do something for her kids who love Peppa Pig. She told me she could not find any in the departmental stores. I agreed to help. 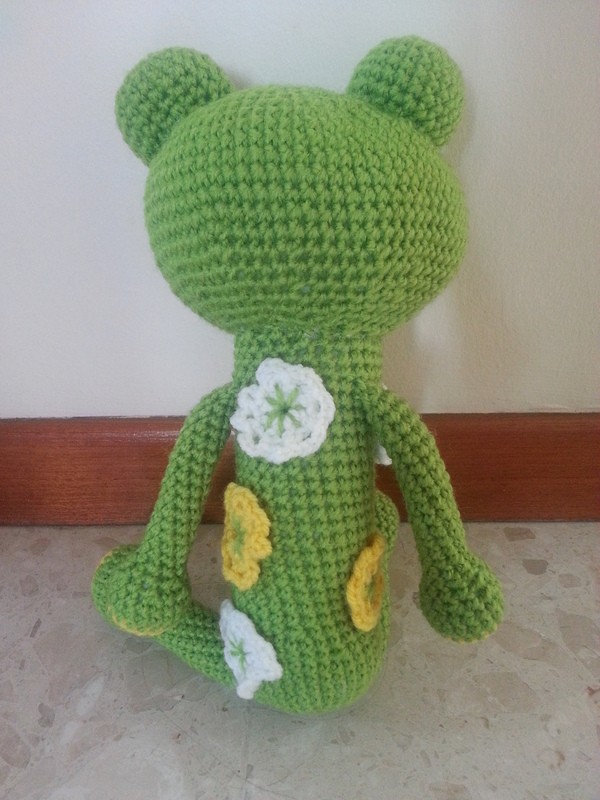 Thank you Dedri for giving me the headstart with her pattern. 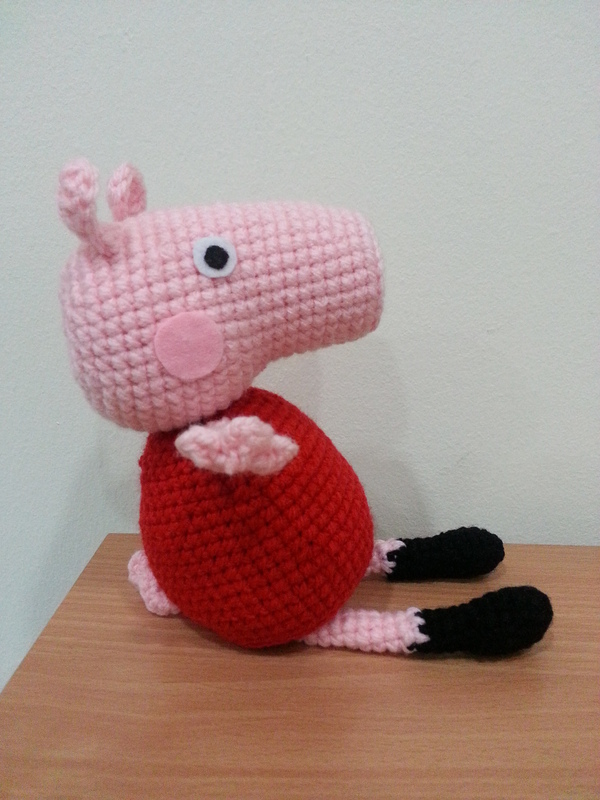 Look What I Have Made! 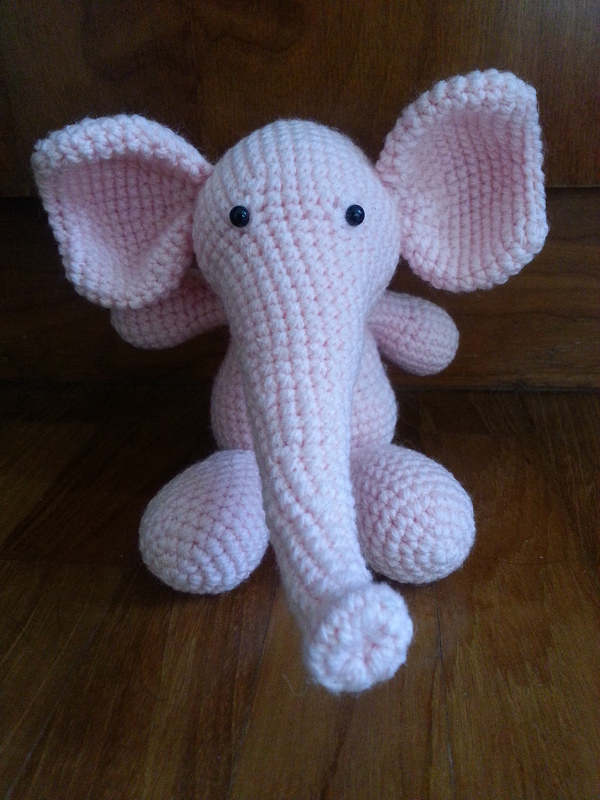 Zarine showed me a picture of her son’s pet elephant toy which was very well loved. 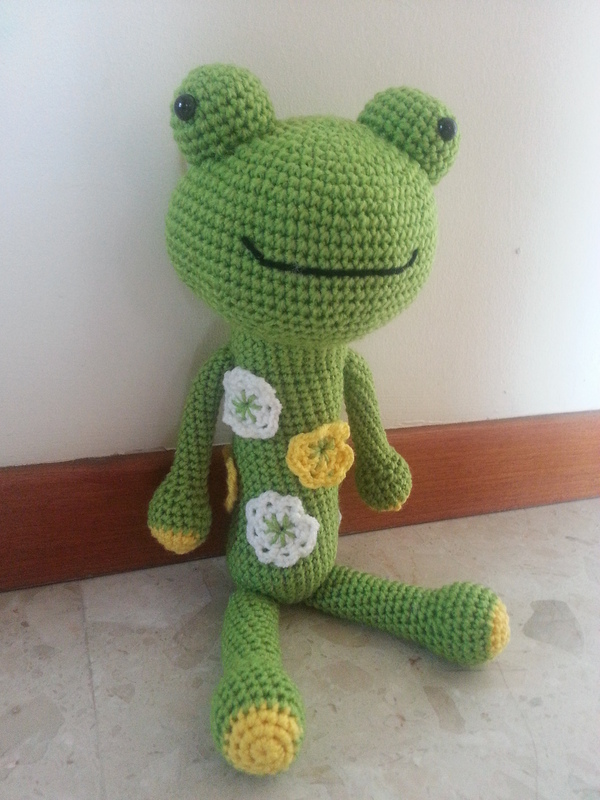 She hoped that I could make another one for him. 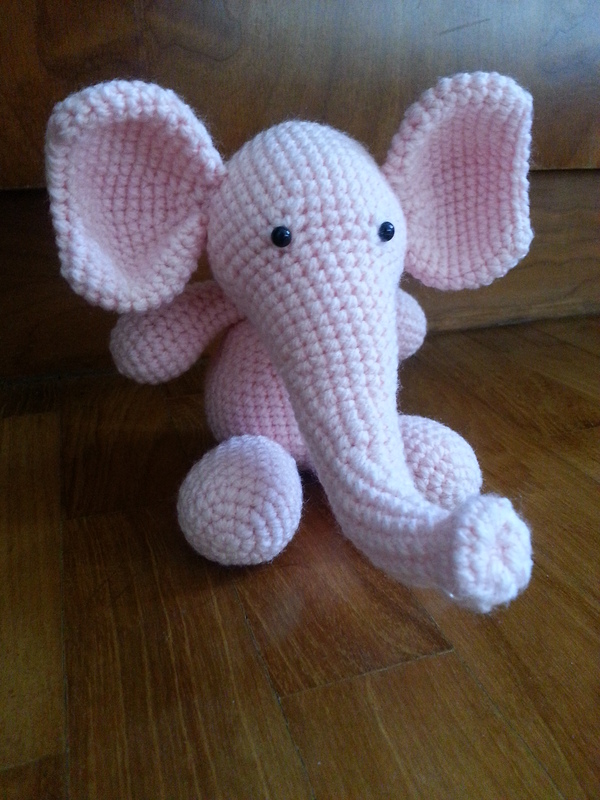 I was so happy to get the chance to make an elephant which I have never thought of. Zarine has given me the size, colour and picture of the existing elephant so the challenge for me was to meet all the requirements. I have finally found a pattern close to it but it was in Russian! 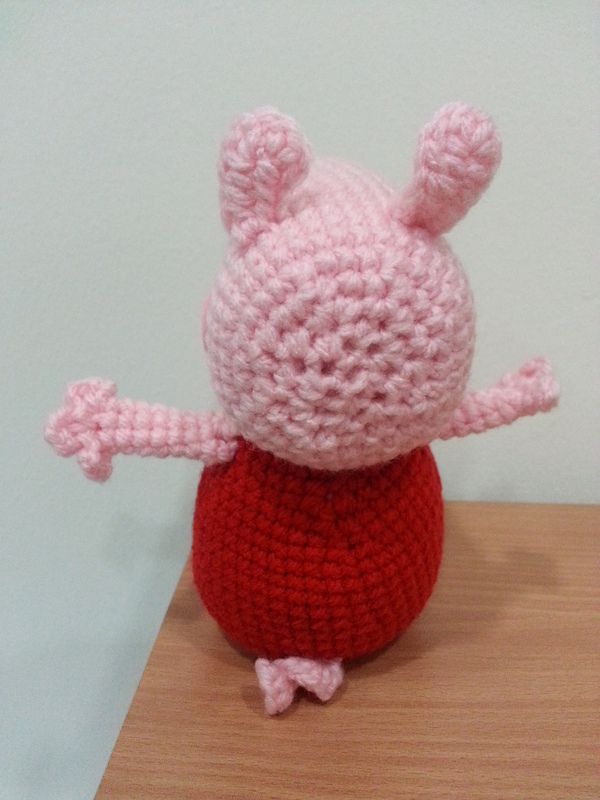 Nevertheless, I managed to complete my version. Wishing my family and all my friends a Happy Lunar New Year. Yes! 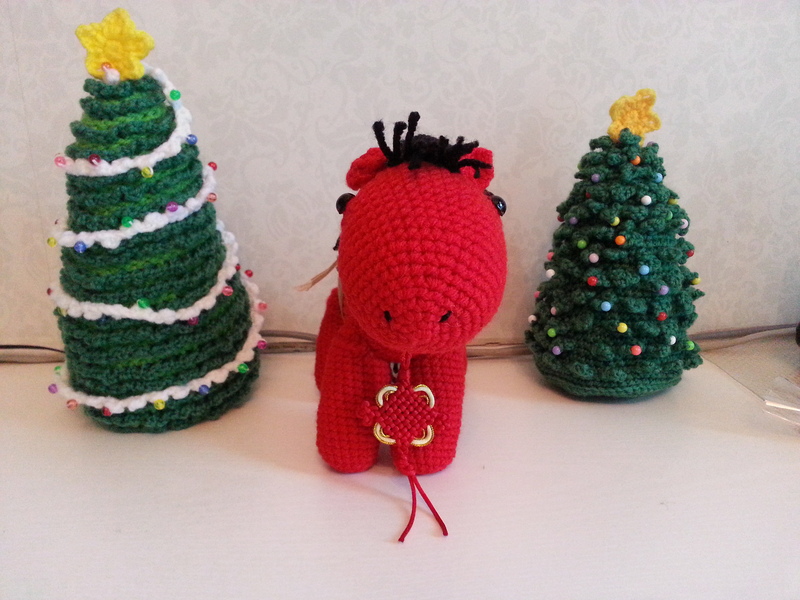 I have finally completed making the horse for my hubby! So, so happy! The charm was a gift from my gal which she has salvaged from a food hamper! And I have used a recycled gold ribbon as the saddle. Look how handsomely smart is the horse! And yes, my hubby loves it! 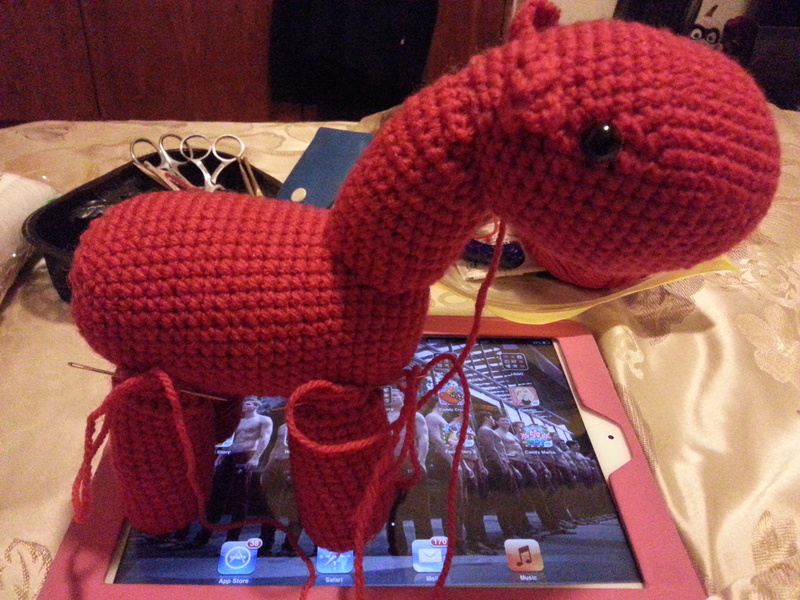 2014 will be the year of the Horse and my hubby has, for the first time, asked me to make a red horse for him. Red is considered an auspicious colour in the new year. I am so happy that he has finally requested something from me but at the same time, I am very nervous. 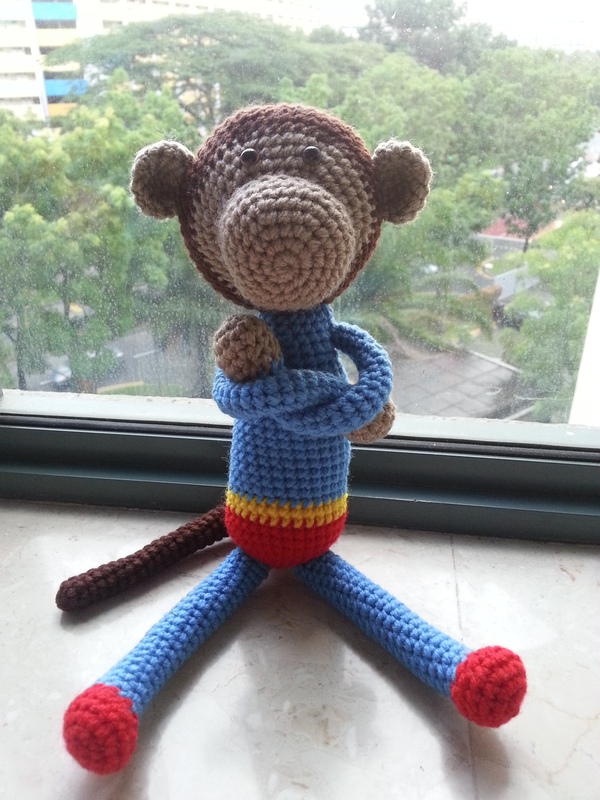 There are many free patterns around but I just couldn’t find one that I really wanted till I chanced upon Little Reuben. 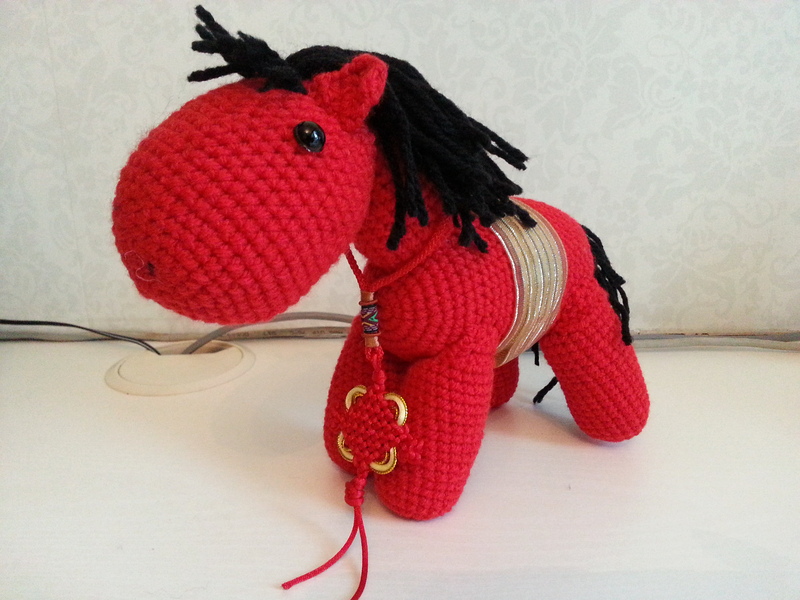 I know it is supposed to be a unicorn but it is so cute that I only have eye for him. 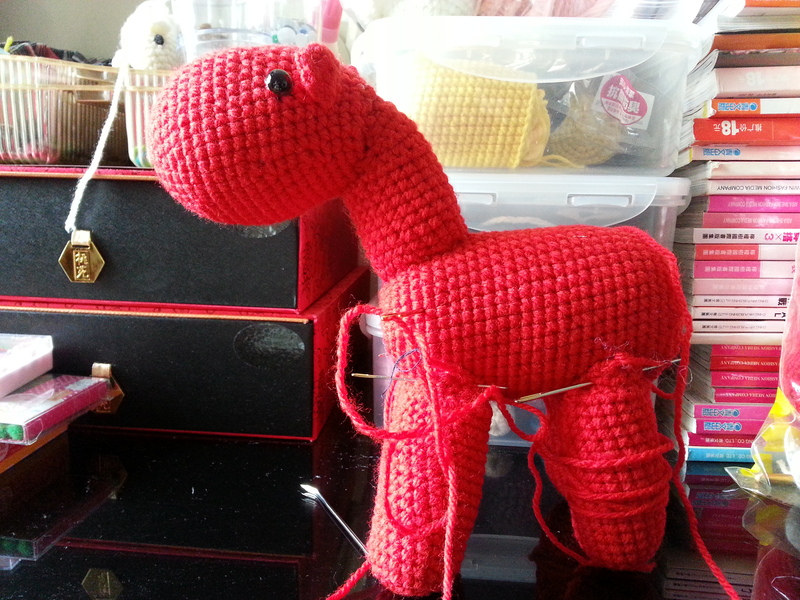 I was all so excited to start making him but alas was stuck for a very long time in the neck area. 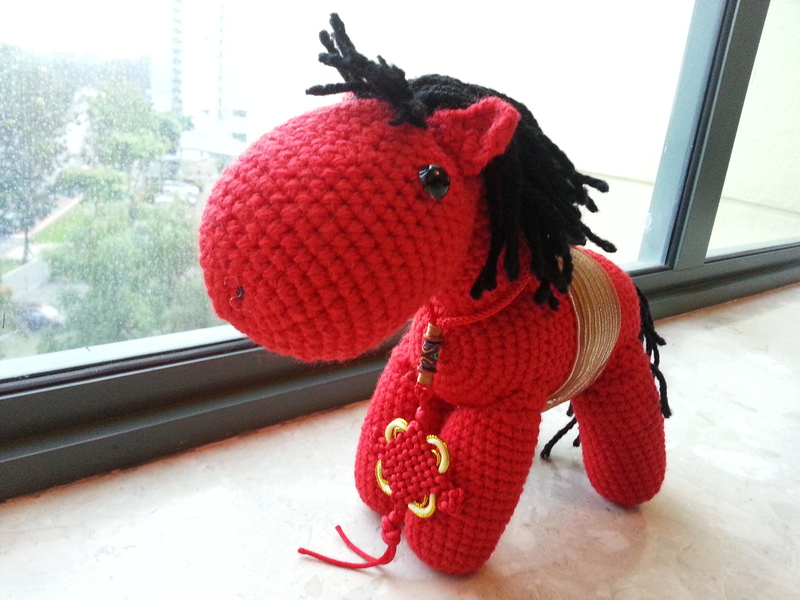 In the end, I just tried my own way and managed to put together my horse.